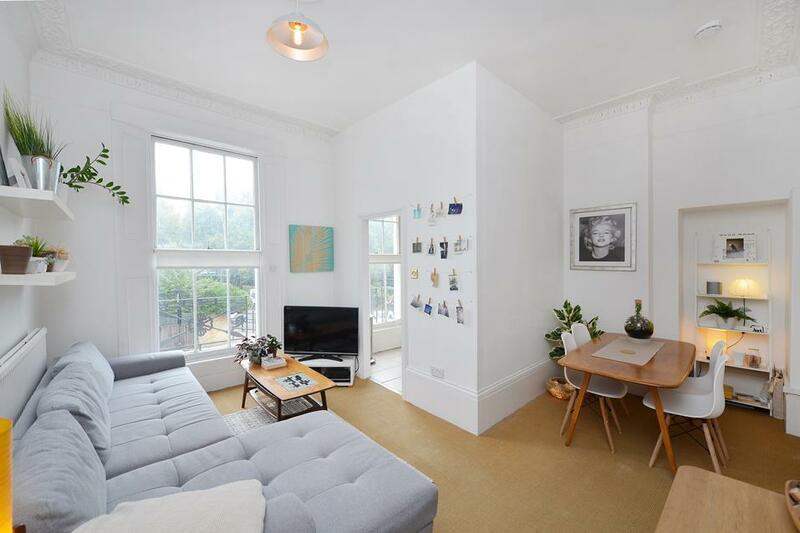 Offered for Let is this stylish and beautifully proportioned two double bedroom 1,200 sq ft warehouse style apartment situated on the second floor of this elegant Art Deco building. 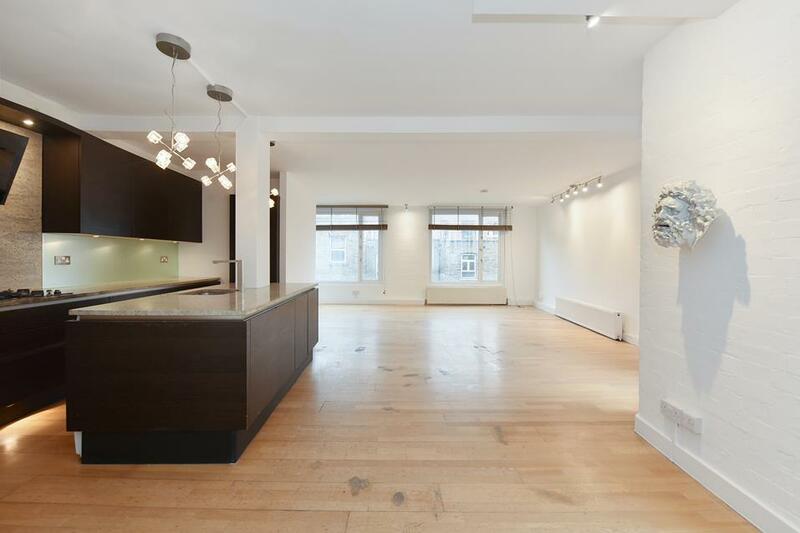 Completed in 2004 by award winning architects Squire and Partners this apartment offers something more akin to the warehouses of Shoreditch with its crittal windows, exposed brick and lovely sense of lateral space. Accessed via a lift on entering you are immediately drawn down the wide double-doored hallway to the large open-plan living space which is filled with light and incorporates a modern kitchen with integrated appliances including dishwasher and built in microwave, complete with Island and granite work surfaces, a spacious dining area, a living-room with overhead projector and pull down cinema screen and a calming reading corner. The master bedroom with dual aspect windows and built in wardrobes comes with a full tiled bathroom with plenty of storage. The second bedroom is huge and again has a wall of built in wardrobes so storage and space is not an issue here. There is a second modern chic bathroom with a large shower. Upper Street and all it has to offer including bars, restaurants and theatres are only a short walk away. Paradise Park is around the corner. 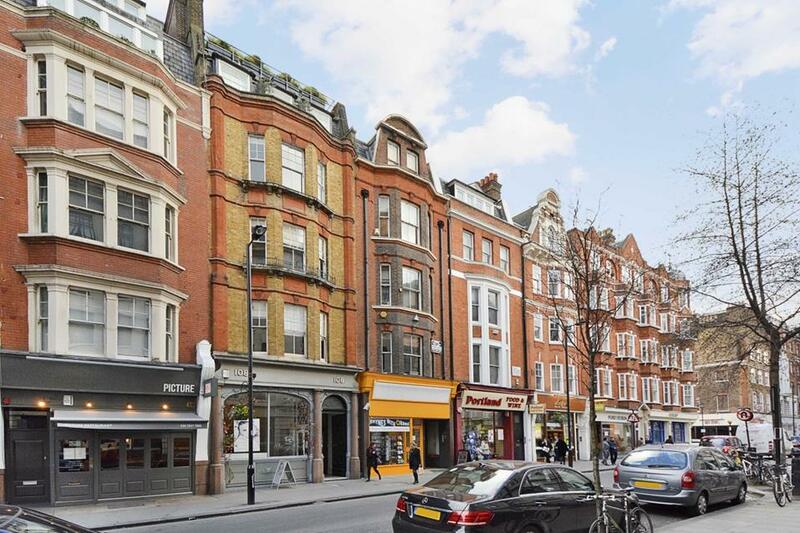 You are also spoilt for choice when it comes to transport with both Highbury and Islington tube station (Victoria Line) and Holloway Road Tube station (Piccadilly line) only a short walk away as well as the numerous busses from both Holloway Road and Upper Street. Available on a part-furnished basis from the middle of October. Early viewings highly recommended. Islington is and always has been an area in constant flux. At the start of the 19th century it attracted wealthy artisans and professionals with its e... read more.